Good morning everyone! I hope your holiday season is going well for you so far; Christmas is in full swing over here at our house, and the new favorite activity of my two little daughters is rearranging all the ornaments on our tree, haha. :) After this post I'll be taking a break until the new year. If you send emails to the blog account in the next couple weeks, I might be able to respond, but it's more likely you'll get a response in January. With that said, let's move onto today's fantastic quiet book! 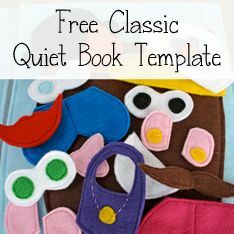 Today's quiet book was made by Megan, as a Christmas gift for her friend's three little girls. She plans to add more pages in the future for their birthdays and future holidays, which is such a cool idea! The pages she started off with are great. She has a rice bag "I Spy" page, a colorful zipper page, a ballet shoe lace-up page, a Rapunzel tower page where you can braid Rapunzel's hair, and an adorable dress up page where you can dress up a doll in different princess dresses. The dresses are so cute - she has Snow White, Belle, Sleeping Beauty, and Cinderella. Ah! Adorable! So, please enjoy Megan's quiet book. And all of her princess outfits! Megan. 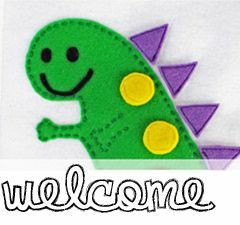 I am a Kindergarten teacher turned stay at home mom of an almost 1 year old, who wishes there were more hours in the day for my sewing projects! My best friend has 3 daughters, ages 4.5 years, 2.5 years, and 4 months. This book is their Christmas gift, and I plan to add a page as each child's birthday and Christmas gift for the next several years. I worked on it for an hour or 2 a night after bedtime. I was finished in 3 weeks, but didn't work on it every night. My best guess is 10-15 hours. I used LOTS of ideas I found on pinterest!!! 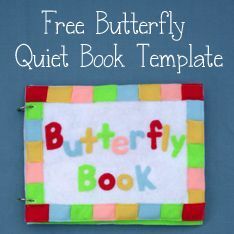 Each page has 3 button holes, The pages are contained in a 3 ring binder, so that pages can be added later on or taken out and passed out to each child. Vinyl, un-cooked orzo noodles, buttons, beads, jewels, ribbon, zippers, yarn, hair clips. I spent $25, but have lots of leftovers now. If you already had a variety of colors of felt it wouldn't be nearly as much. I loved how the princess dress up page turned out! I am sure the girls will fight over that one! Megan, thank you so much for sharing your adorable quiet book with us! 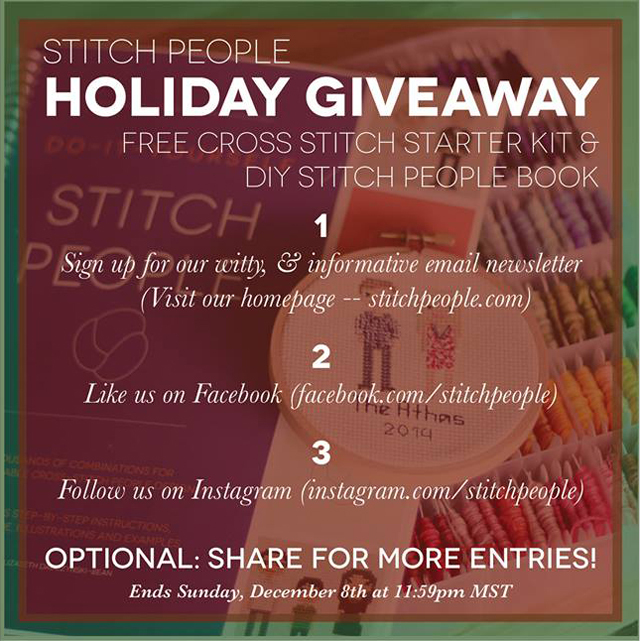 100th Post - and Stitch People Giveaway! Hi everyone! I have something exciting to tell you - this is the 100th post on the Quiet Book Blog! Thank you to everyone who has shared their quiet book on the blog over the last couple of years; everyone's awesome books have made a truly wonderful collection of ideas and inspiration. 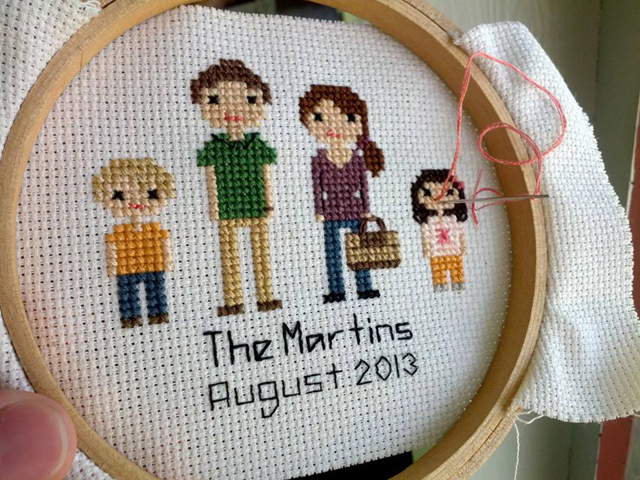 Today, for the 100th post, I wanted to share with you Stitch People. 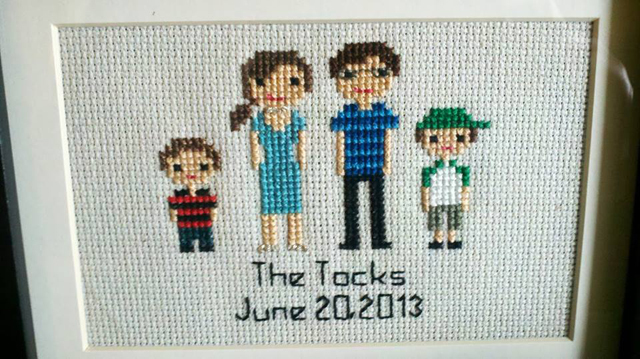 Once upon a time, my friend Lizzy started this amazing company where she creates custom cross-stitch family portraits. 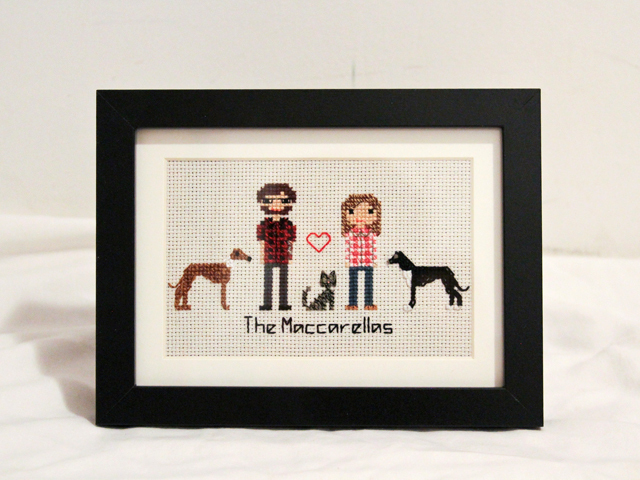 She also does wedding portraits and pet portraits. 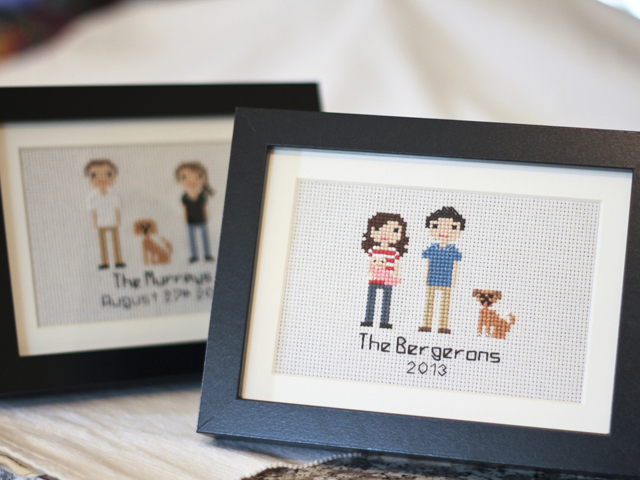 Something else she offers on her website (and this is what I think you guys will especially like, since you're crafty) is a Do-It-Yourself Stitch People Book. 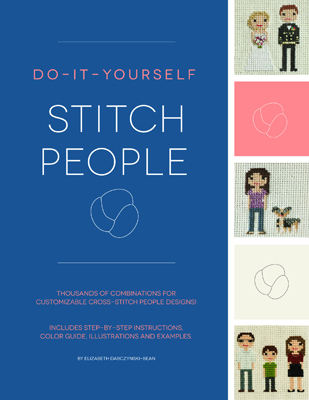 "Do - It - Yourself Stitch People Book: Instructions & Patterns for Designing and Stitching Your Very Own Stitch People Portrait. 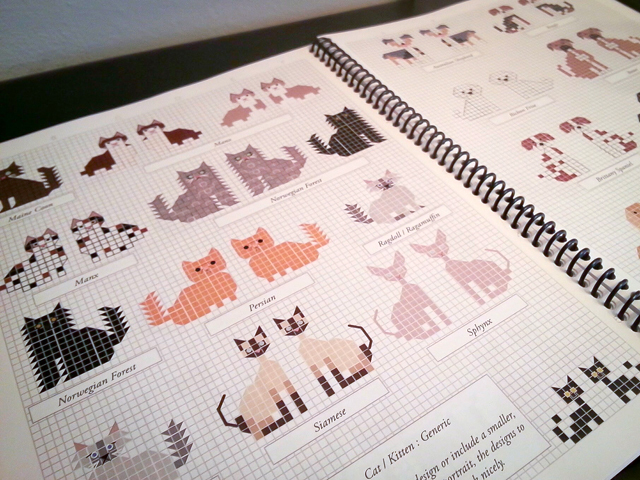 Order the Stitch People DIY "bible" filled with over 500,000 cross-stitch pattern combinations! 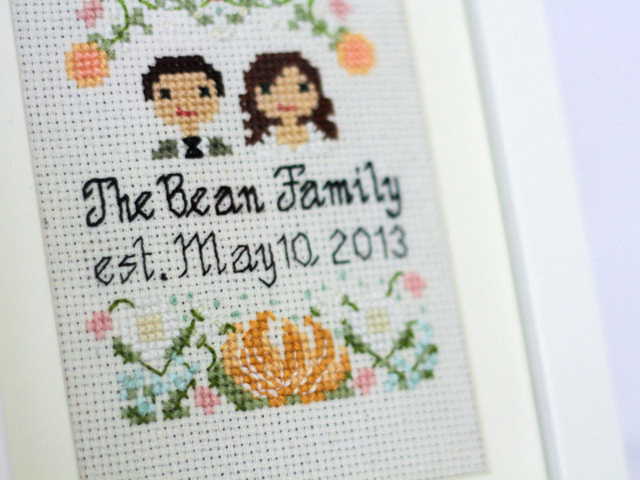 Includes designs and patterns for hairstyles, clothing, and dogs and cats of many breeds, as well as color suggestions, illustrations and examples to help make your cross-stitch family portrait look just right! 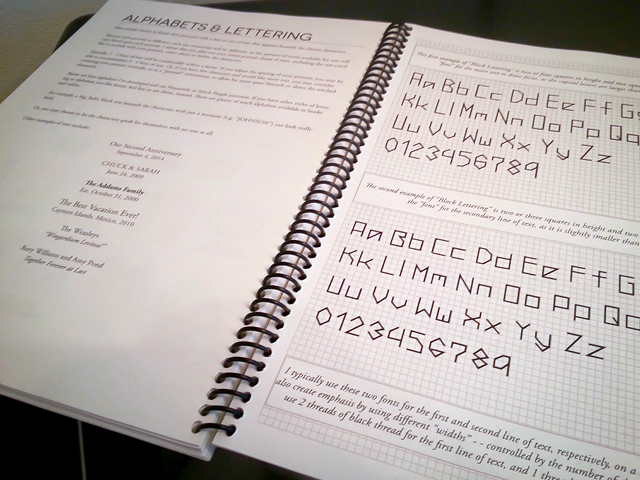 The physical book is 8.5"W x 11"H, and spiral bound for easy use. The E-Book and physical book are identical." 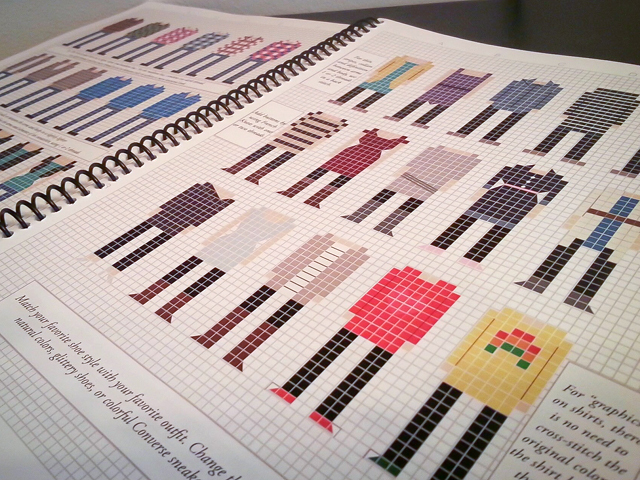 To see or order the DIY Stitch People Book on the Stitch People website, click here: Do-It-Yourself Stitch People Book: Instructions & Patterns for Designing and Stitching Your Very Own Stitch People Portrait. You can also share the giveaway on Facebook or Instagram for more entries - the more times you share, the more entries you'll get! The giveaway ends Sunday, December 8th at 11:59pm MST, and the winner will be announced Monday, December 9th. 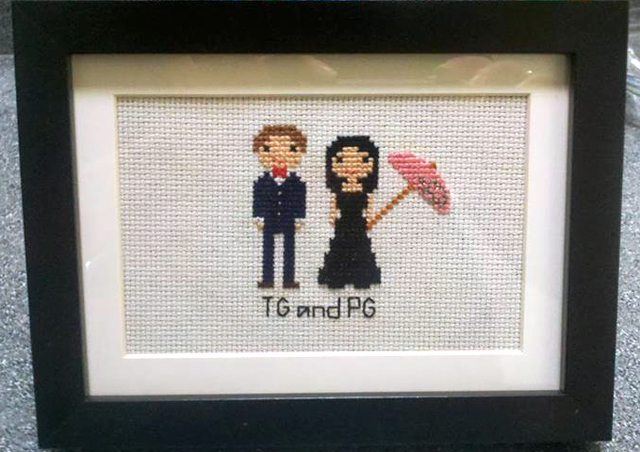 I hope you're all having a great week, and I hope you enjoy checking out Stitch People!